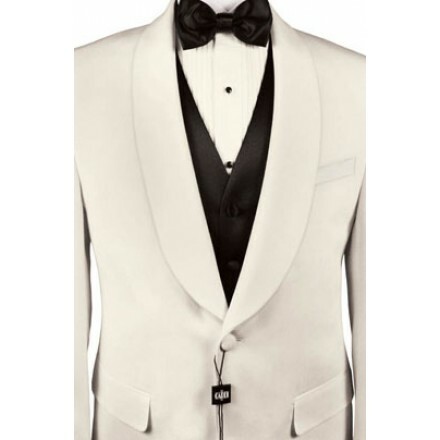 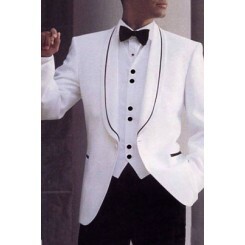 This is a classic ivory shawl dinner jacket, featuring a 1-button closure. 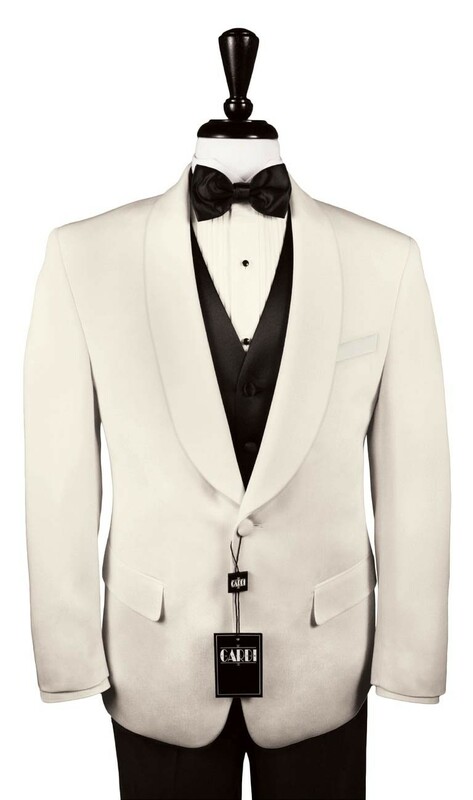 Dinner Jackets are not jsut for dinner anymore! 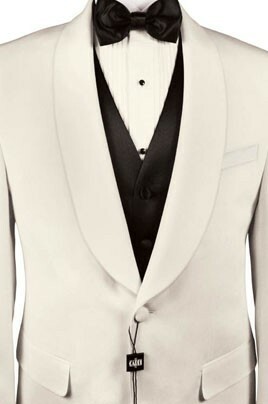 They do not feature satin lapels. 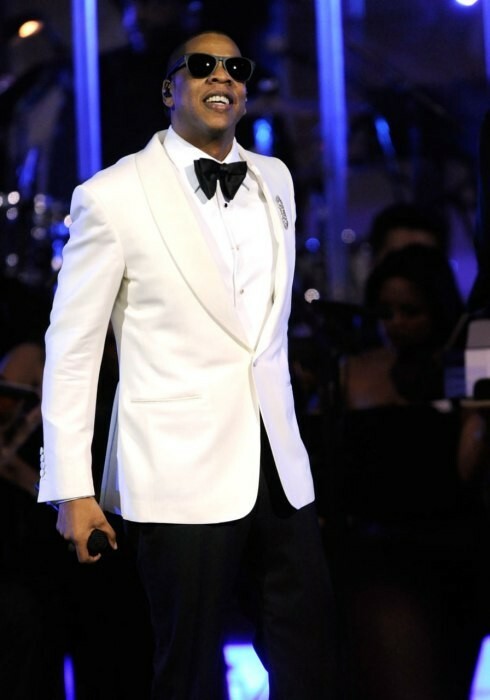 "Jay Z" made this style coat very popular when he wore it at the Academy Awards in March, 2014.